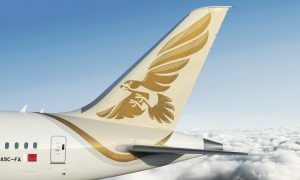 JetBlue Airways and Etihad Airways announced plans to begin codeshare operations and provide customers with enhanced travel options worldwide. 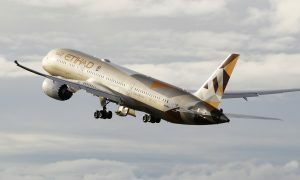 The agreement, which is subject to government approval, will see Etihad Airways place its “EY” code on JetBlue-operated flights, initially facilitating connections between the two airlines at New York’s John F. Kennedy International Airport and Washington’s Dulles International Airport. Customers transferring in New York or Washington to JetBlue will enjoy the award-winning airline’s signature in-flight experience with unlimited free snacks and non-alcoholic drinks plus the most legroom in economy class (based on average fleet-wide seat pitch) and a variety of seatback TV and entertainment options. 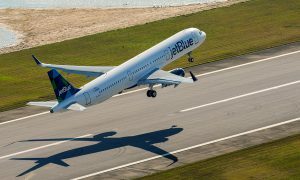 Later this year, JetBlue will debut Mint, the carrier’s new premium offering, featuring the longest lie-flat bed in domestic business class and the only private suites on the New York-Los Angeles and New York-San Francisco routes.